Maybe you’ve just learned about what we’re doing here at 7 Generation Games, and you wanted to learn more about our games. Or maybe you’ve checked us out before, but are interested in all the games we have to offer — including the games we’ve yet to release. To help you out, we’ve created this quick and handy guide to 7 Generation Games’ games. The game that started it all. 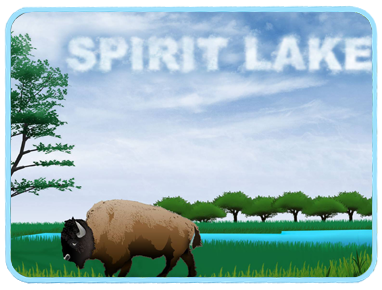 Spirit Lake focuses primarily on multiplication and division (including word problems) and teaches about Dakota culture. Save your tribe from attacks and a spreading epidemic. Escape rabid wolves. Hunt buffalo. Math has never been this fun. Grades 3 and up. Mac and PC. 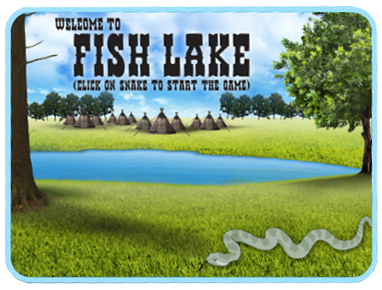 Fish Lake focuses on fractions (including word problems) and teaches about Ojibwe culture. Watch out for poisonous snakes! Make your way down the rapids. Find enough food for your village’s survival. Figure out “what’s fair.” Who knew you could get this excited about fractions? Grades 4 and up. Mac and PC. 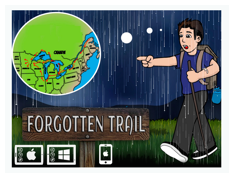 IN BETA: Forgotten Trail focuses on fractions and teaches about Ojibwe culture and modern, real-world applications of math. Make your way across the country. Navigate through mazes. Avoid skunks. Catch chickens. Watch a graphic novel come to life. See why math matters. Grades 5 and up. Mac and PC. 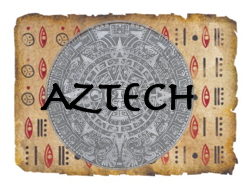 COMING IN 2017: Aztech focuses on statistics and measurement and data and teaches about Central American and U.S. Hispanic history. Decipher ancient codices. Journey through the past to the present. Bilingual game playable in English or Spanish. Grades 6 and up. Mac, PC and iPad.